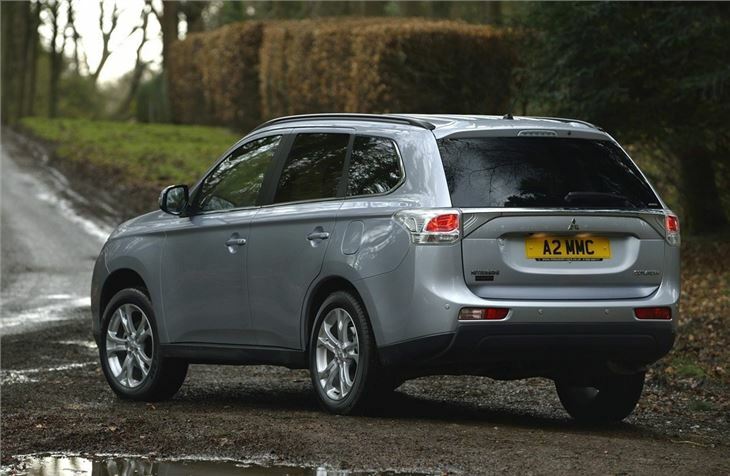 The new Outlander SUV is something of a new start for Mitsubishi. Gone is the old model’s huge, fighter jet style grille and aggressive looks, replaced by a more staid and grown up appearance. But the sensible changes are more than skin deep. 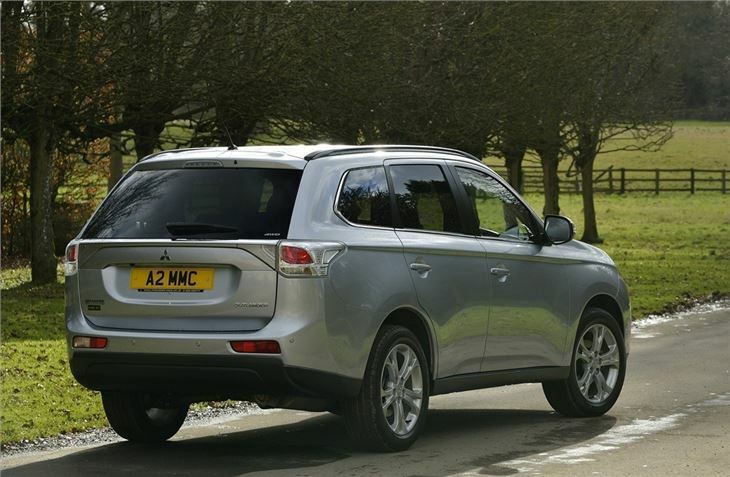 The latest Outlander is fuel efficient for such a large vehicle and has a markedly improved cabin, which will put it on the radar of those seeking a large family car. 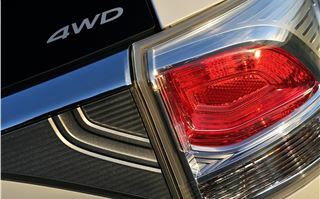 Those new looks aren't just for show - the new car is more aerodynamic than the outgoing model, which as helped improve both emissions and economy. On paper it’s all worked. The new car is 100kg lighter, the weight of a hefty adult man, and despite its size it has the same 0.33Cd drag coefficient of the original Ford Sierra, which was heralded as the most aerodynamic car in the world at its launch back in the 80s. 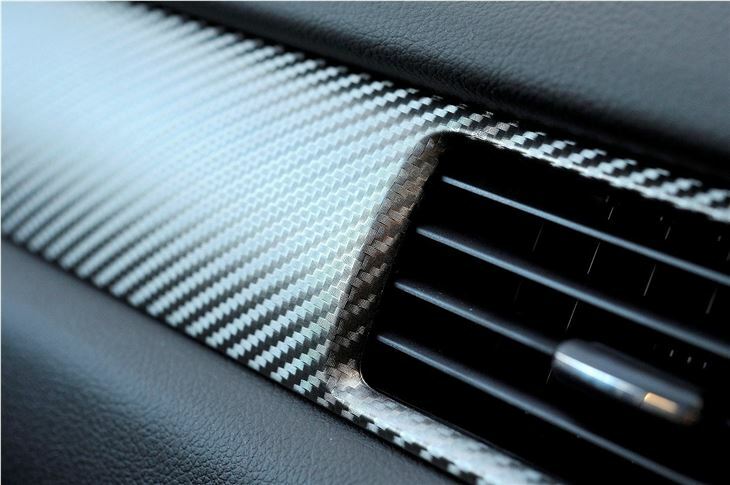 It’s all achieved through attention to detail – the windscreen washer nozzles have been moved under the bonnet lip, the bonnet itself sweeps smoothly onto the windscreen pillars and the upper grille has been reduced in size – the black and chrome ‘hole’ you see in the pictures is actually a cowl to smooth airflow. It may not be as distinctive as the old model but the pay-off is an official economy figure of as little as 53.3mpg and emissions from 138g/km. Those numbers are for entry level models. 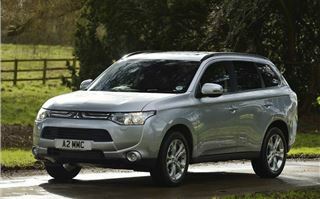 Most Outlanders will be of the slightly less efficient GX3 and GX4 variants, which have economy of 52.3mpg and emissions of 140g/km – still very impressive, especially when you consider that all models are all-wheel drive. That's all good news - it means fewer visits to the diesel pump and lower tax bills - 140g/km means VED band E, a couple of bands lower than some far less capable MPVs like the Toyota Verso, yet you still get the benefit of all-wheel drive for times when the going gets slippery. 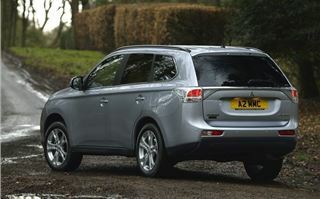 Additionally you won't lose out in the practicality stakes - all but entry-spec models get seven seats. They're useable, too, at least more so than they were in the previous Outlander. 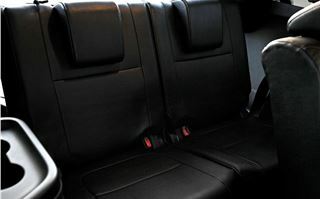 They're a little on the tight side for adults, but the middle row can be moved around to increase legroom and children will have no issue threading themselves in and out, nor will they have any problems getting comfortable. 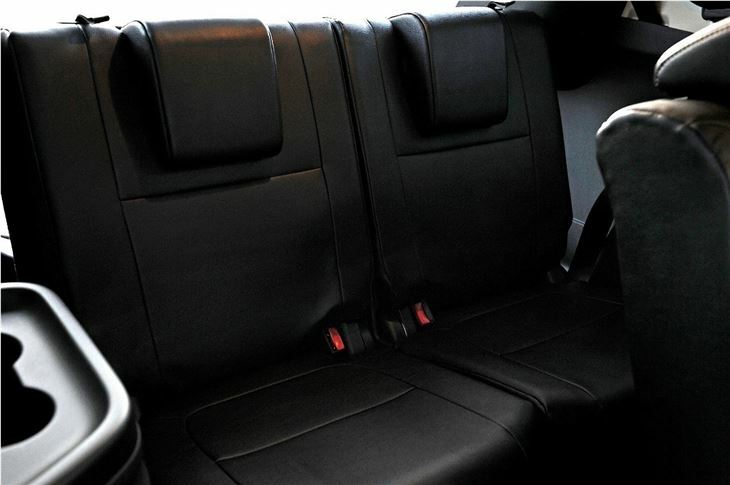 There's even a small but useable amount of bootspace left over when the rear row of seats is in place. 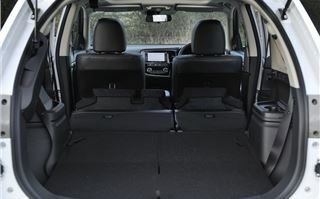 With all of the seats down you get estate car levels of room - up to 1022 litres to the seat tops, which is more than you get if you load a Ford Focus estate to the roof. There's also a cover for the load area and an electric tail gate on the top model. 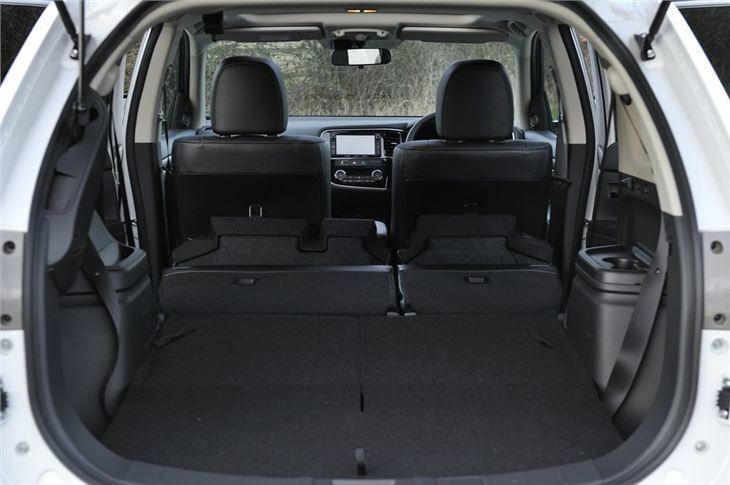 This is an SUV, though, so the boot floor is high and that makes loading heavy objects more tricky than it is in an estate. Because of all the fuel-saving weight reduction you might expect a flimsy cabin with no equipment, but that’s far from the case. 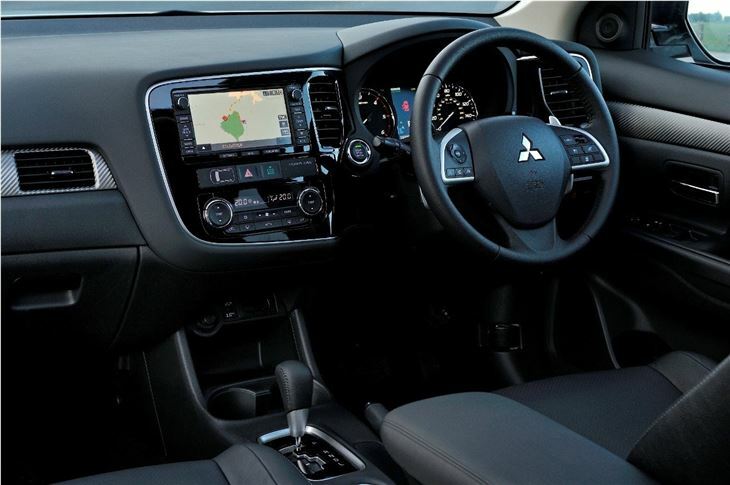 The new Outlander actually feels a lot more solid than the old one – the dashboard has a nice soft-touch covering and the rest of the plastics feel sturdy and well screwed together. 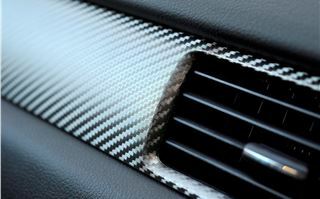 There are even nice flourishes like a faux carbon-fibre dash inlay and a gloss black sat-nav surround. 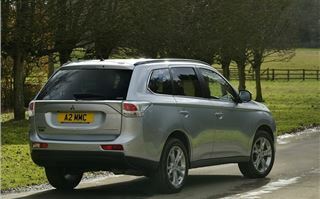 There’s plenty of technology in the Outlander, although you'll need to opt for the expensive top GX5 model if you want the best gear, which includes adaptive cruise control, collision-mitigating braking and lane departure warning, the latter of which can get annoying if you don’t switch it off on a country road. You don’t lose out too much with lower models though. 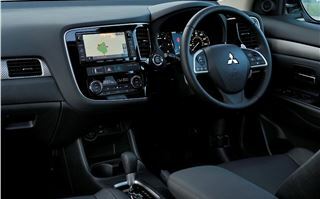 All Outlanders have hill-start assist, cruise control, air-conditioning, electric windows and iPod connectivity. 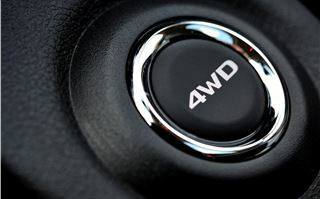 GX4 models offer the best blend of equipment and value, with sat nav, keyless entry and parking sensors. 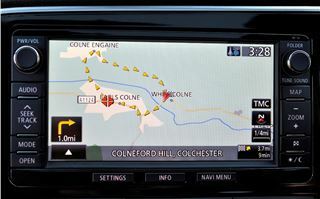 Sadly the sat-nav is irritating to use – you’re better off with your own. Regardless of which trim level you opt for, there's just one engine - a 2.2-litre diesel engine which is reasonably refined. At idle it sounds a little like a muted tractor, but once on the move it quietens down. And thanks to the aerodynamic design and improved sound-deadening it’s quite refined, even at high speeds – the loudest sound is air rushing past the large door mirrors. 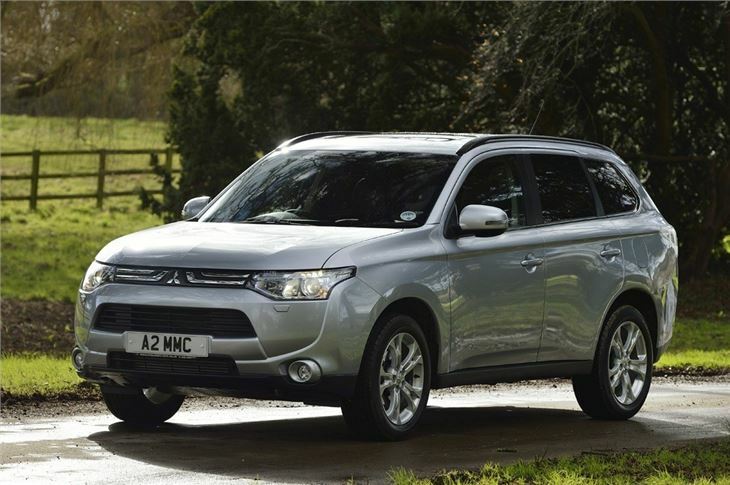 The four-cylinder unit is the same engine as in the old Outlander, but retuned for better efficiency. It’s slightly less powerful as a result with 150PS, but it has the same peak torque output as before – 380Nm – and it’s available across a broader rev range when paired with a manual gearbox, from 1750rpm to 2500rpm. 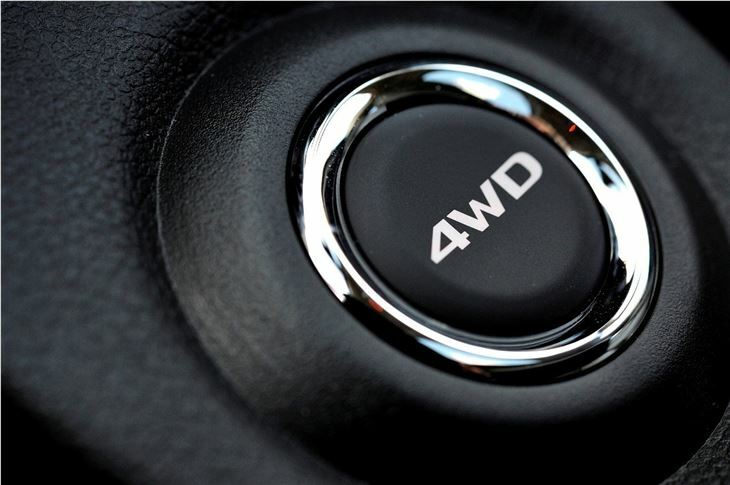 Alongside the six-speed manual, there’s also a new smooth automatic gearbox. 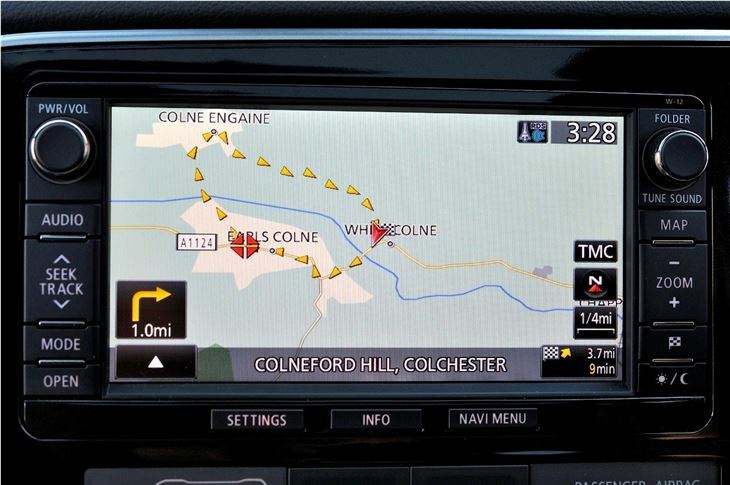 It’s an intelligent system which learns the way you drive and adapts its gear change to suit your driving style, changing earlier if you’re light-footed. The result is impressive, making for an effortless drive and good performance, whether cruising or overtaking. Unfortunately the steering isn’t so good. It feels somewhat disconnected when driving in a straight line, particularly at high speed, plus it’s overly light and numb in corners. There’s also a little more body roll than you’d expect, but the pay-off is a generally comfortable ride over rough roads - handy over the pot-holed lanes of the UK. The new Outlander isn’t the perfect car – it’s not brilliant to drive and to get all the best toys you need to go for the top model – but there’s plenty to like. The cabin is solid and practical, it's spacious and running costs promise to be low thanks to improved efficiency. 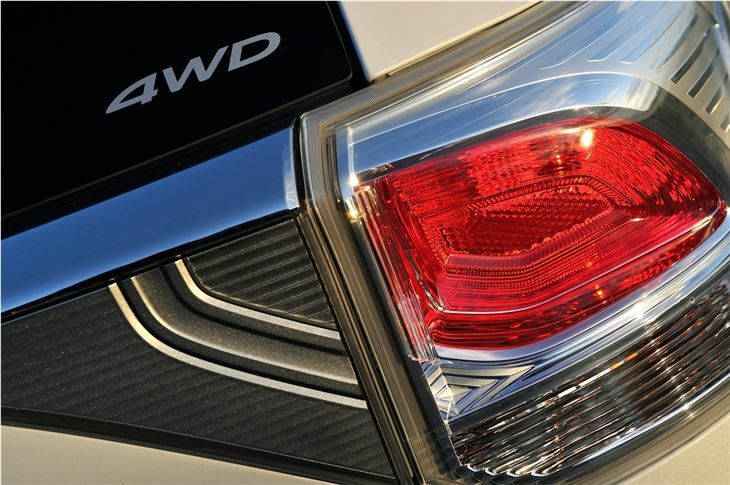 It also has the appeal of being a true all-wheel drive vehicle, unlike many crossovers. 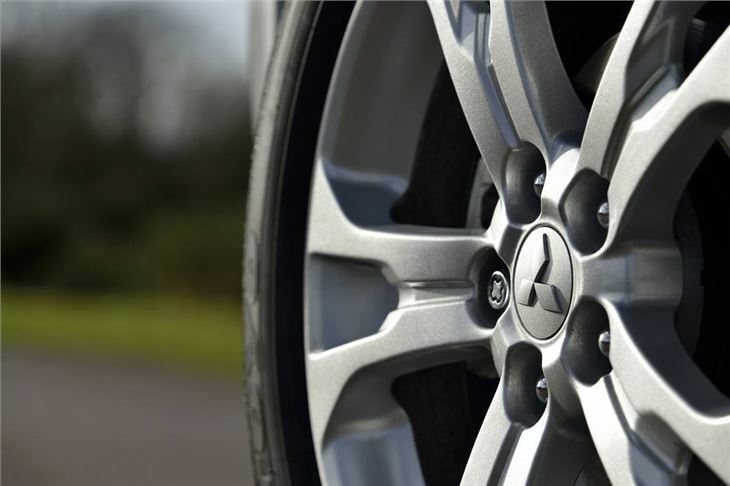 It reverts to front-wheel drive in normal conditions, but when the going gets rough, sensors detect wheel slip and send torque to whichever wheel needs it, making for a good winter-weather car, and it'll cope with some off road use to boot. So if you can forgive a few minor niggles and annoyances there’s plenty to recommend. 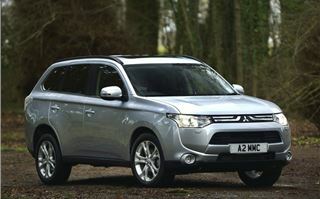 Don’t hang about for the Peugeot 4007 or Citroen C-Crosser versions though – they’re not coming this time around. However, come the end of the year, a plug-in hybrid version will be launched and that might be worth the wait if you're a company car driver, thanks to its low BIK rate.